Authorities say school staff members responsible for fateful hike in which 10 died should be charged with manslaughter. Israeli police have recommended that school staff members from the Bnei Tzion pre-army preparatory academy face criminal charges, after a hike he led late last month ended in tragedy. Twenty-five hikers – most of them incoming students at Bnei Tzion – were hit by a flash flood as they took part in an annual hike in Nahal Tzafit near the Dead Sea in southern Israel. Ten teenagers were killed in the flash flight, while several more were injured. The hike, which was intended as a way for the incoming students to get to know each other before the beginning of the school year this fall, took place despite warnings by police that the stormy weather in southern Israel created an elevated flood risk in valleys around the Judean Desert. 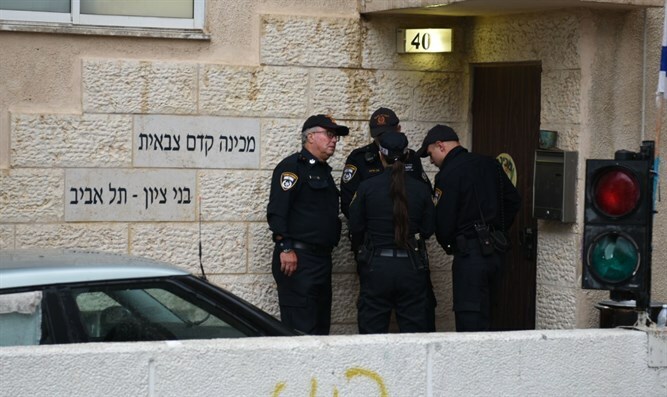 "The group of youths went on a trip to Nahal Tzafit despite our repeated warnings not to travel in the southern valleys," police spokeswoman Meirav Lapidot told the Reshet Bet radio station. Three school officials were questioned after the disaster, as police probed claims of criminal negligence by staff members in allowing the hike to take place despite the flood warnings. On Sunday afternoon, police announced that they have recommended a criminal indictments against three staff members from Bnei Tzion, including Aviv Bardichev, who led the fateful hike last month. Police say they have compiled sufficient evidence to charge Bardichev with manslaughter for his role in the disaster, while Bnei Tzion Academy director Yuval Kahan should, according to the police recommendation, be charged with involuntary manslaughter. No recommendations regarding charges for a third staff member have yet been submitted by police. Following the disaster, Bnei Tzion Academy director Yuval Kahan stepped down from his position, saying: “I am torn and broken. I will never be able to find the words to express my grief. Trust in me cannot exist in the shadow of this disaster. The role of the head of the preparatory program is first and foremost an educational function that requires the full trust of the trainees, their families and all those who are involved in the program."